Honda Cars India Limited has recently launched the Honda City V AT trim, where AVN stands for audio visual navigation. This latest version is available across all their dealerships across the country. Honda India is one of the most admired and eminent automobile brands in the Indian car market. This company is an ancillary of the Honda Motor Company, which is one of the biggest car makers from Japan. This Indian subsidiary was established in 1995 and has their manufacturing facilities in Greater Noida and Bhiwadi. Their fleet of cars is excellent and has striking designs and is equipped with power packed engines, which are consistent and fuel efficient. 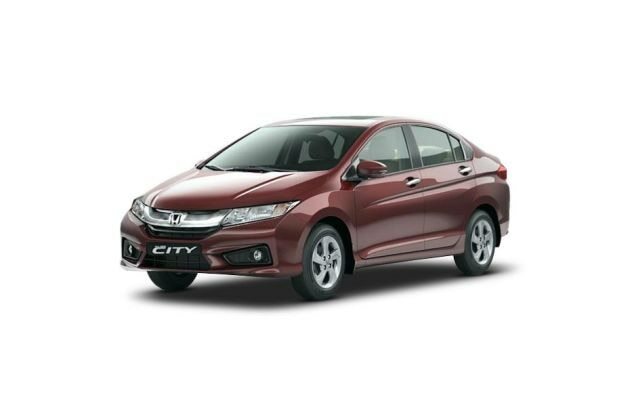 One such sedan from their stable is the magnificent New Honda City, which was first launched in 1998 and is acclaimed to be one of their most stylish sedans in the country. This sleek and modish Honda City V AT trim has been introduced into the market recently and has some sophisticated features. The company has done some changes to this new trim by adding some highly advanced functions along with other comfort and safety features, which is said to further enhance the driving experience of the passengers. Honda Cars India Limited is also offering a standard warranty on this sedan to further add to the benefits of the customers. There have been quite a few changes and the company has also added some new systems to this new 2012 Honda City V AT trim. Some of the most exciting features incorporated in this latest sedan are an anti lock braking system, dual SRS airbags for the front passengers, seat belt pretensioners, cruise control, alloy wheels, an interactive intelligence system and many more such utility features. Apart from these, the latest innovative features include audio visual navigation, touch screen audio system, Bluetooth for pairing mobile phones, iPod Cable and several other such intelligent features. The exteriors of Honda City V ATsedan are very attractive with an aerodynamic bodyline. The frontage is quite bold and has a neatly designed front grille, which has horizontal slats that are treated in chrome. A large crest of the company has been embossed on the radiator grille, which is surrounded by a bright head light cluster. The company has incorporated high intensity halogen lamps in it along with side turn indicator. The front body colored bumper gets a couple of bright fog lamps and a large air dam in the center. The front windscreen is made of green tinted glass, which has been fitted with a pair of intermittent wipers. The side profile is smooth and lustrous with body colored external rear view mirrors have been integrated with side turn blinkers, which gives this sedan a stylish look. The door handles are finished with chrome and gives a refined appeal to the sides of this car. The Honda City V ATalso has a door lock protector, body colored mud guards and a dual horn as well. The wheel arches have been fitted with a set of newly designed set of 15 inch alloy wheels , which have been covered with tubeless radial tyres of size 175/65 R15 that have a superior road grip. The rear end gets a curvy boot lid with a big wind screen that has a defogger, an exhaust pipe finisher along with a bright and large tail lamp cluster. The dimensions of this new 2012 Honda City variant are quite liberal and this sedan can easily accommodate five passengers with ease. The total length of this stylish premium sedan is 4440mm along with an extensive overall width of 1695mm. The total height of this new Honda City is 1485mm and it has a roomy wheel base of 2550mm, which is quite spacious. The minimum ground clearance of this premium sedan is 165mm and it has a turning radius of 5.3 meters. The company is offering this polished sedan in quite few vibrant and refreshing exterior paint options. The list of these lively metallic paint options are Carnelian Red Pearl, Sparkling Brown, Urban Titanium, Bold Beige, Alabaster Silver and also a Taffeta White metallic finish. The company has bestowed this Honda City V ATtrim with very fashionable and hip interiors, which will certainly entice the customers. The seating arrangement is very comfortable with trimly designed well cushioned seats, which are covered with premium quality beige leather upholstery that makes this sedan look modish. The door pads and arm rest also gets beige fabric inserts, while the internal handles are finished in chrome. The steering wheel, gear lever as well as the hand brake are also treated with premium leather and make this new sedan look classy. Apart from this, the company has also used a lot of chrome treatment for the interiors, which is making this sedan look refined. The air conditioning controls have chrome treatment on them, while the inner door handle lining as well as the door switch panel has a silver finish on it. The company has blessed this Honda City V ATtrim with floor mats, which make this sedan look polished. There are quite a few storage spaces as well in this premium sedan such as a large glove box for keeping bigger things, a front cup holder, coat hanger, front console pocket, a pull pocket on the driver side, foot rest, a headlight on and key reminder alarm, headlight height adjuster, front center arm rest, a couple of sun visors and a front co-passenger vanity mirror, driver and co-passenger side front seat back pocket and other such spaces. The hand brake knob is chrome plated, while the steering panel has a silver finish. The driver seat height can be customized and the power steering wheel gets mounted control buttons. The central console gets a special aluminum finish to it, which makes it look sophisticated. All these and many more such things make this new Honda City V AT trim, one of the most preferred sedans in the Indian automobile bazaar. The company has equipped this amazing sedan with a performance packed 1.5 L petrol drive train . This power packed mill has four cylinders and has been fitted with 16 valves and a single over head cam shaft (SOHC) . This sedan also has been equipped with the highly acclaimed i-VTEC (intelligent Variable Valve Timing and Lift Electronic Control) technology, which aids in enhancing the fuel efficiency of this sedan. This 2012 Honda City V AThas the ability to generate a peak power output of 115.64 Bhp at 6600 Rpm in combination with a maximum torque yield of 146 Nm at 4800 Rpm and also has an electronic fuel injection based supply system. This performance packed petrol mill is cleverly mated with a 5 speed automatic transmission gear box with paddle shifters and 1 reverse gear as well, which is very efficient. The company claims that the mileage of this 2012 Honda City V AT is approximately 15.6 kmpl, when driven under standard conditions. The centrally mounted fuel tank has the capacity to hold about 42 litres of petrol in it and this new Honda City has a kerb weight of 1145kgs, which is quite remarkable. This Honda City V ATtrim has been fitted with a robust suspension system along with a proficient braking mechanism , both of which helps the driver to keep this sedan in control and stable. The front wheels of this new sedan has been fitted with powerful disc brakes, while the rear end gets soling drum brakes for efficient braking on any road conditions. On the other hand, the front axle of this 2012 Honda City has been integrated with a McPherson strut type of a mechanism that has a stabilizer and also a coil spring. The rear axle of this premium sedan has been fitted with a torsion beam axle that has a stabilizer and also a coil spring to keep this sedan steady and well balanced. Apart from all these mechanisms, the company has also equipped this latest sedan with an ABS with brake assist and a highly advanced electronic brake force distribution system as well to further enhance the handling and maneuverability of this premium sedan. The Honda City CNG has been equipped with quite a number of safety and protective features for the passengers as well as the vehicle itself. The inventory of these crucial features include dual front SRS airbags for enhanced protection of the front passengers, seat belt pretensioners with double load limiters, driver seat belt reminder notification lamps, a high mounted stop lamp at the rear end, an engine immobilizer that also has a engine control unit (ECU) for added protection and security of the sedan. This sedan also has a G-CON, which is a highly developed gravitational force technology and also child proof rear door locks. The driver side window gets an automatic up and down function with a pinch guard, while this Honda City V ATalso gets an antilock braking system with electronic brake force distribution along with brake assist as well. All these advanced safety features in combination makes this new 2012 Honda City, one of the safest vehicles in its segment. The company has incorporated quite a number of convenience features in this 2012 Honda City V ATversion, which will certainly amaze the customers. The list of these practical and no nonsense features include a powerful and efficient HVAC (heating, ventilation and air conditioning) unit, which cools the entire cabin very quickly. Then there is the audio visual navigation system along with a touch screen CD player unit, which has the capability to play DVD’s and also has other input options such as a USB interface, iPod cable and an Aux-in port as well. This audio system also has Bluetooth connectivity as well to pair mobile phones along with front and rear speakers and a couple of tweeters as well to enhance the in-cabin entertainment . Other features in this 2012 Honda City CNG include all four power windows, a rear center arm rest with a cup holder, power door mirrors and power door locks as well. The instrument cluster is brilliant and has quite a number of notifications such as an average fuel consumption meter, a distance to empty indicator, an eco lamp, a real time fuel consumption display with warning, an accessory socket, an internal day and night rear view mirror, a electronic power steering that is very responsive and has mounted audio and cruise control buttons and many more such impressive functions, which will make the driving experience of the passengers exhilarating. Striking exterior features, plush interiors and advanced comfort features, powerful engine and a good pickup. Price can be more competitive, mileage can be increased.